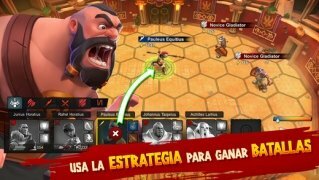 Clash of Clans has brought back the rage for real-time strategy games, there's no doubt about it. 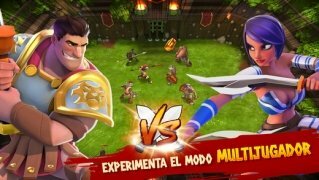 There are millions of players around the world eager to take part in online multiplayer combats to put their strategic skills to the test. And following suit to Supercell's great hit, other titles have also been released with more or less fortune. Gladiator Heroes comes along with an interesting proposal, a strategy game that can be played in versions for iPhone and Android, offering us a gaming system that combines real-time strategy and turn-based strategy. Having to build a kingdom, an empire or a city from scratch is quite usual in this kind of game. Here, we'll start off with a single gladiator who will have to cope all by himself to create a new city from where he'll set out to conquer the world. Academies, farms, armories, administrative buildings... you'll have to gradually build and manage all these infrastructures. For such purpose, you'll have to be very skillful but if that's not your case, you can always search for cheats and hacks to help you out. And what about the battles? Of course, there are going to be plenty of battles in the online multiplayer mode against players from all over the world who will command their armies against you. 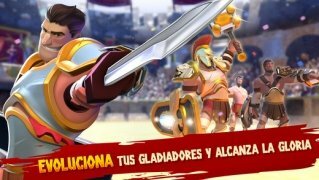 So you'll have to defend your units against enemy attacks and take part in fights between gladiators with close-up camera shots. 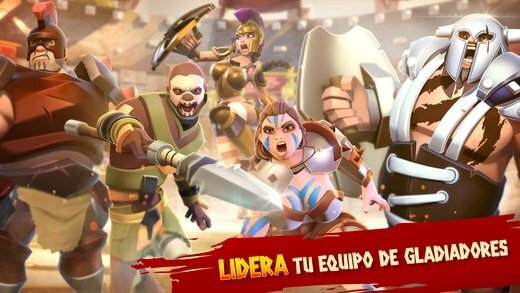 A great strategy game if you're looking for an alternative to Clash of Clans. 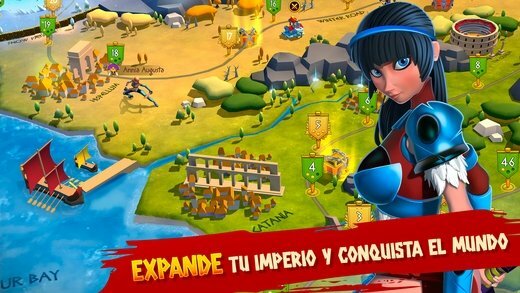 Control and manage the construction and growth of your cities and units. Wide range of settings to fight on: from the desert to the tundra. Earn rewards in the form of gold, weapons, and skills. Name and customize your gladiators. Fight with up to 5 kinds of fighters: from the most basic ones with just one weapon to the most sophisticated ones that fight with a lance. For the time being, it's only available for iOS devices such as iPhone and iPad, and Android smartphones and tablets. And it doesn't look like we're going to have a Windows or Mac version anytime soon. So, as usual, if you want to play it on your PC you had better download its APK and run it on an emulator.